Yes, a love song, for that is what it is, albeit in an unsugary full-volume kind of way. Who else but a Scot could come up with the line “And if I haver, hey, I know I’m gonna be, I’m gonna be the man who’s havering to you”? 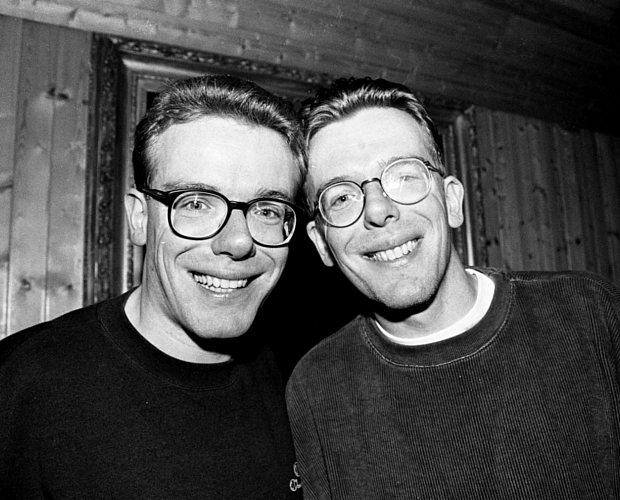 I’m Gonna Be (500 miles) by the Proclaimers was written in just 45 minutes by Craig Reid in mid-1987 on his way to a gig in Aberdeen. Since its release in 1988, it’s been heard everywhere from Hampden to Murrayfield, from Hibs home matches to international darts matches. Yet, despite being such a familiar tune, it didn’t make an impact when it was released, reaching only No.11 in the charts. Icelanders clearly knew a good thing when they heard it, as it was a No.1 in Iceland before reaching top spot in Australia and New Zealand in 1989. In 2007 it was re-recorded by the Proclaimers with comedians Peter Kay and Matt Lucas for Comic Relief, finally becoming a No.1 in the UK, and helping to cement its place in our national culture. Not everyone gets a good feeling when they hear it, though. In 2011 one Chinese fan teased her boyfriend that she would only marry him if he walked 1,000 miles for her. He took her seriously and walked the 1,000 miles from his home to hers to wed her.